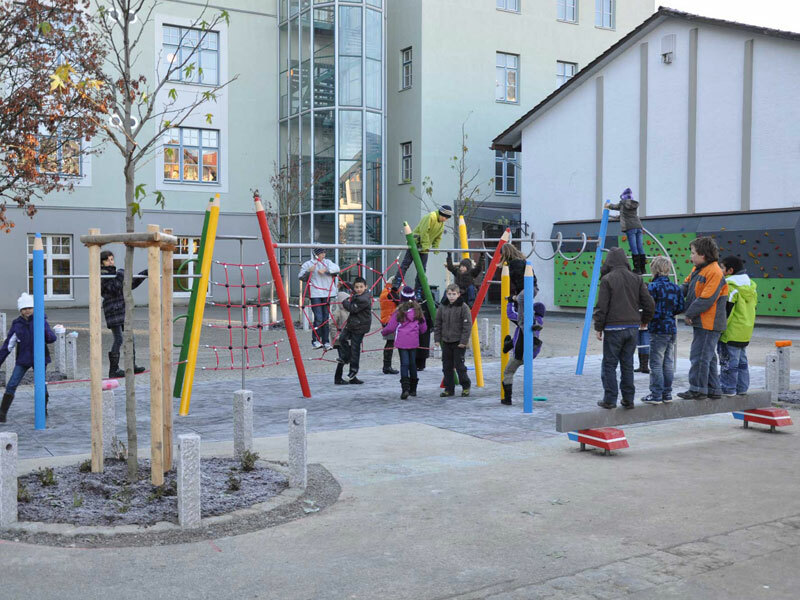 To supplement the existing playground activities in the Primary School in Lindenberg the management wished for a multifunctional, optically attractive and vandalism-proof construction that can be used by many children at the same time. 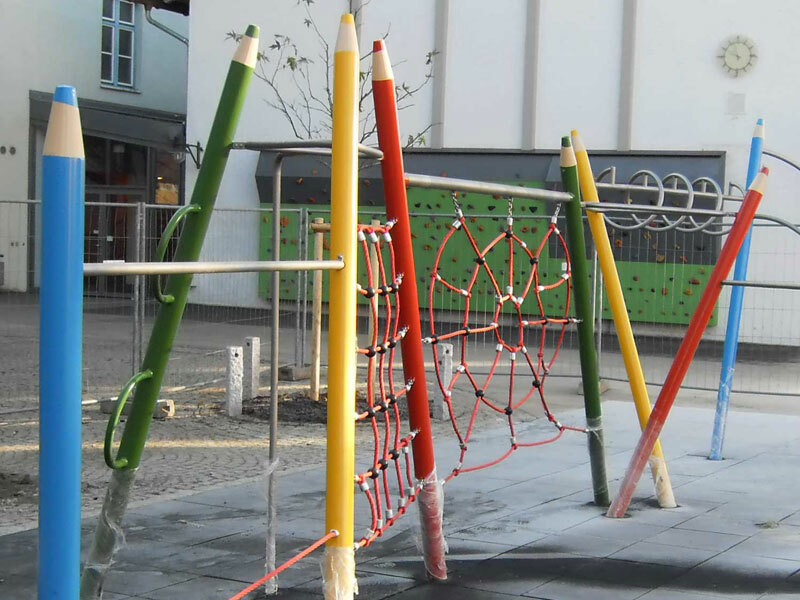 The result is huge multi-coloured painted steel poles in the form of colouring pencils with different play and climbing elements hung between them. In addition, benches in the form of a ruler with erasers as feet are available for the children as well.